Mangia is a location based app focused on showing you your lunch in a way you've never seen before. 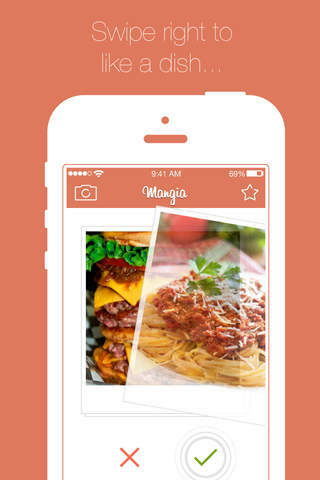 Mangia gathers images of all nearby food and displays it to you one dish at a time. Stop wasting time searching through endless yelp and urbanspoon reviews, and cut to the most important part... The food.